We are one of the leading Packers and Transport Company's of central India. The Company was established in the year 1980. The branches / agencies are spread all over India. 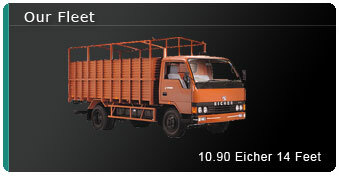 The company and its associates own about 700 Mini trucks and L.P trucks & Trailers. We have team of through professionals, who are experienced and specialized in household and Industrial packing, lifting of ODC consignments (route surveys etc). Our team members are very friendly, cheerful and are always ready to provide a helping hand. We are committed to give safe and time bound delivery of customer's goods with best services and right information. Our clients including some of the giant industries with big names and infrastructure as Crompton Greaves Ltd., BHEL (Bharat Heavy Electricals Ltd.), Bharat Bijlee Ltd, EMCO, L&T, Permali Wallace Ltd, Oman Drugs (P) Ltd., Cement & Steel Sector to name a few. Rajendra Packers and Movers is an India based organization that offers professional packing services, professional moving services for your packing and moving requirements throughout India.It offers various shifting services like household shifting, office relocation, commercial relocation, packing and moving of industrial goods etc. We take pride in offering great packing & moving services at reasonable prices. All our employees are experienced, courteous and careful. We offer personalised service for any kind of relocation whether it is local, Domestic, or International. You can effortlessly shift your goods to any nook and corner of the country without facing any problem. Our quality services have made us one of the leading packing and moving service provider in the Packers and Movers industry. We have come in to being to provide enterprise logistic solutions that are efficient and completely reliable. We put our customers first. And we are committed to leave, no stone unturned to gain the confidence and trust of all our customers by conducting our business with honesty, integrity and humility. While we engage ourselves in this task, it will be our endeavor to create surpluses for our customers, society, Our employees and our stakeholders. Our motto is to offer the best services all over India, and we are working with many packers and movers to provide packing and moving services with full responsibility, reliability and punctuality. Our aim is to provide our customers with best value for money and relocation services, that the industry can offer. We lay special emphasis on providing responsive, spontaneous and quality service to our clients.